A First Book of Bridge Problems comprises fifty problems in declarer play and defense for the beginning player, presented in approximate order of difficulty, with emphasis on planning the play at the first trick. The hands are presented to the reader as they would encounter them playing at the table. Unlike in a textbook, where topics are introduced systematically, there is no clue as to what type of play is required. Experienced players recognize certain standard situations without having to work them out. This does not apply to novices, who spend a lot of mental effort on them. The book will help the novice player to develop their recognition of these situations. Winner of the 2012 ABTA Book of the Year of the Award! Like the author's first book (A First Book of Bridge Problems, named Book of the Year for 2012 by the American Bridge Teachers Association), this sequel comprises fifty problems in declarer play and defense for the beginning or near-beginning player, presented in approximate order of difficulty. The problems are slightly more advanced than those in the first book. It doesn't matter whether you know a heart from a spade right now - by the time you finish this book you'll be able to enjoy a social game of bridge with your friends. Barbara Seagram's 25 Bridge Conventions You Should Know continues to be a bestselling book year after year, and her books on the game have more than 250,000 copies in print in four languages. This new book, for complete beginners, is based on the material that Barbara uses in her own classes to introduce hundreds of new players to the game every year. Every aspect of the game of bridge is covered - bidding, declarer play, defensive cardplay and scoring - with user-friendly tips, stories and quizzes to help you have fun while you learn. As well, Karen Lampert's cartoons will bring a smile to your face and help you remember key points as you work through the lessons. Use this book on your own or with three friends - it works equally well both ways. And at the end of it, you'll be able to play the most popular card game the world over. A comprehensive, 3-week, day-by-day bridge course for the beginner by the bridge editor of The New York Times. Do you get that terrible sinking feeling when you first see dummy? Does your mind go blank as everyone waits for you to play to the first trick? If so, you're not alone. Beginning bridge players are taught some of the basic techniques of declarer play: suit establishment, ruffing losers, the finesse, and so forth. The hard part is learning what to do when. In the dreaded moment following the opening lead, the typical novice declarer has no idea where to start. Yet the key to success is simple: before playing from dummy at Trick 1, make a plan. In this book, two of the world's best bridge teachers/authors explain how to go about making a plan as declarer -- using a simple step-by-step process. Readers will learn how to decide what to do on a given deal, both in notrump contracts and suit contracts. By the end of the book, even the most inexperienced declarer will be comfortable with more advanced material, such as entry management and counting the hand. Do you get that terrible sinking feeling when you first see dummy? Does your mind go blank as everyone waits for you to play to the first trick? If so, you're not alone. Beginning bridge players are taught some of the basic techniques of declarer play: suit establishment, ruffing losers, the finesse, and so forth. The hard part is learning what to do when. In the dreaded moment following the opening lead, the typical novice declarer has no idea where to start. Yet the key to success is simple: before playing from dummy at Trick 1, make a plan. In this book, two of the world's best bridge teachers/authors explain how to go about making a plan as declarer — using a simple step-by-step process. Readers will learn how to decide what to do on a given deal, both in notrump contracts and suit contracts. By the end of the book, even the most inexperienced declarer will be comfortable with more advanced material, such as entry management and counting the hand. • Count winning and losing tricks. This Teacher's Manual will make your job easy. 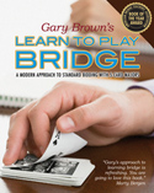 It's a virtual script for the four lessons found in Playing a Bridge Hand: Just the Basics, and includes table-top examples and practice deals for students.